Fort Lauderdale Locksmith offers a wide range of commercial security solutions for all types of businesses; whether large office complexes or a small store front, we serve all kinds of customers. We have been providing innovative security solutions for schools, hospitals, hotels, condominiums and a host of other commercial companies. Today, Fort Lauderdale Locksmith is at the forefront of cutting-edge technology such as biometrics and high security locks. Providing a wide range of products, styles and finishes, we can install what you need. In addition, we stand behind every lock we install with some of the best after-sales service in the business. We offer a 6 month warranty on new locks. 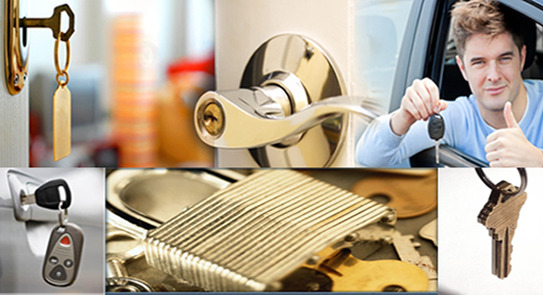 Fort Lauderdale Locksmith Commercial security solutions provides a wide range of commercial locksmith and security services for industrial, commercial, small business, large corporate organization offices, retail stores and shops. Our commercial locksmiths are highly trained professional to work on any high traffic locks, panic bars, emergency exit door devices and fire escape devices. We install and repair hydraulic and concealed door closer on gates and front building doors, electric strike replacements and repair, complete service and combination change for commercial use safes. Professional training combined with the use of locksmith specialist tools and equipment ensures that our commercial locksmith works professionally and efficiently, keeping high customer service and affordable prices, all work carried out is guaranteed, both on parts and labor. Using the latest techniques our commercial locksmiths are able to open 99% of all locks and safes with little or no damage caused whatsoever. File cabinet locks can be rekeyed or changed. Panic bars and exit devices repaired and installed.